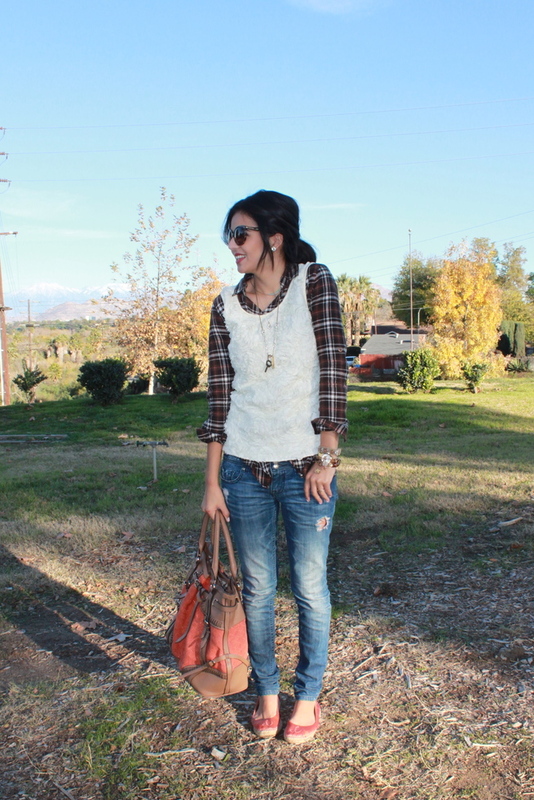 Today I'm posting this really laid back look-this is a way I like to incorporate my tanks from summer in the winter. I usually wear my favorite t-shirt or tank over a long sleeve or flannel shirt ( also seen in this post ). They add layers for added warmth without the bulk. 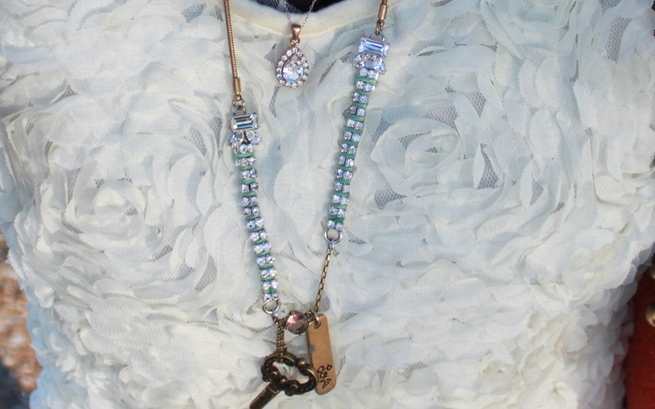 To accessories I layer my favorite necklaces and lots of bracelets. I'm also obsessed with these flats- they are the most comfortable pair of shoes I own -I also have them in a cheetah print - I love them both so much! The only complaint I have is that since they are espadrilles...I like espadrille shoes they just don't stick well to the rubber soles. The rubber sole on these flats are un-sticking ... its a pain but I will have them re glued and wear them until I burn a hole through them. 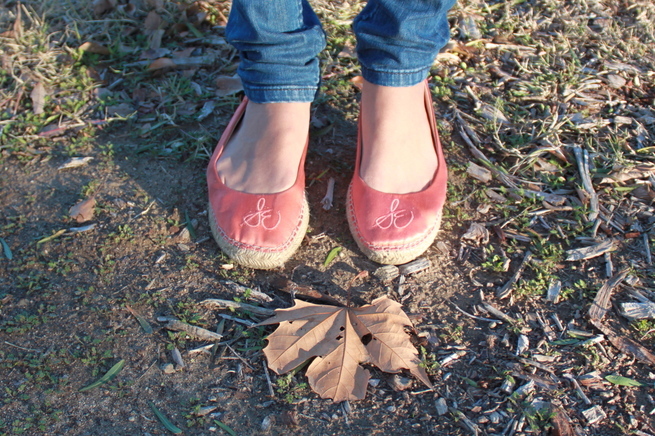 I feel like I have this problem with all espadrille shoes- wedges and flats. Does anyone else have this problem ? my espadrille wedges have a similar problem, but then again i found them at wet seal, so i got what i paid for! lol. Fun way to remix a summer tank! Love the combo! Nice bag and arm candy!!! Love your look today! You are ready for the weekend. Love your flannel. I specifically don't wear espadrilles because of that, by the way! Nice outfit! Adorable look, congratulations on the styling; great work! amazing outfit and arm candy! xO! Nice look. I really like your white shirt. Love the detail of this outfit ! Cute outfit! The tank top has great detail! For your post, I love this outfit, such a versatile look! you can relax and go places with this outfit! 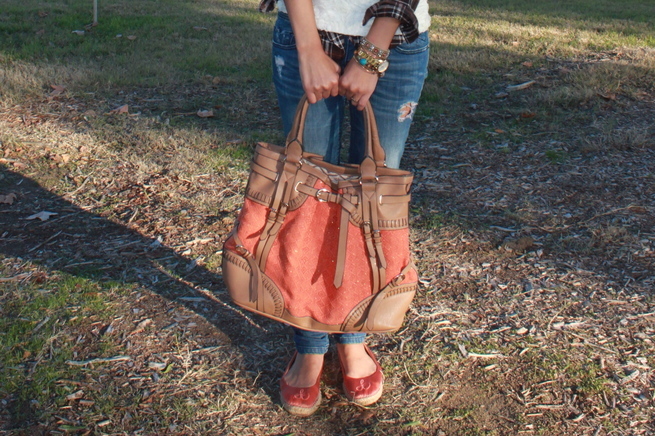 Great look and I absolutely love your flanell shirt! Just found your blog. 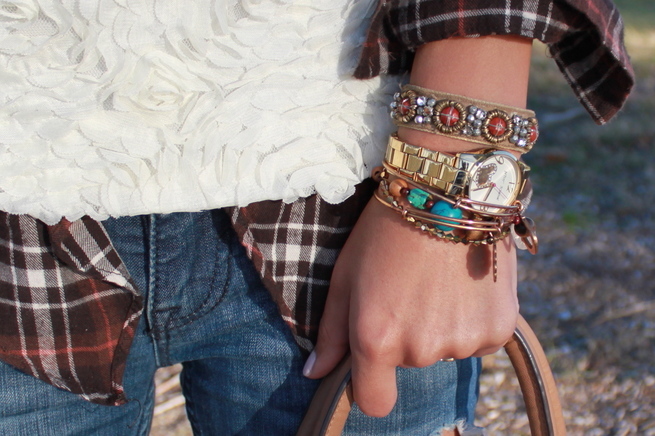 Love the arm candy! Muy guapa y me ha encantado la entrada y feliz día de Reyes!!! this tank over the flannel is totally unexpected, but adorable! how inspiring!